SANTA BARBARA, CA, UNITED STATES, June 6, 2017 /EINPresswire.com/ -- ONTRAPORT, a leader in business automation software for small businesses and entrepreneurs, today announced its latest and most game-changing software release, ONTRAPORT 5, the first visual Campaign Builder with built-in visual performance reporting. 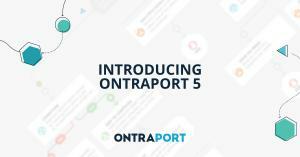 ONTRAPORT 5’s visual Campaign Builder makes it easy for users of all experience levels to build sophisticated marketing campaigns in a matter of minutes, then launch and optimize personalized customer journeys on one simple, graphical display. It’s the first and only complete visualization of the entire customer lifecycle, topped with real-time visual performance reporting and tracking capabilities that arm marketers and entrepreneurs with the information they need to confidently iterate and optimize campaigns for business growth. With ONTRAPORT 5, users can build customized campaigns from scratch using our intuitive visual campaign builder, or choose from a library of turnkey, pre-built templates that include designed and drafted landing pages, emails and everything else needed to launch in minutes. Then, taking advantage of clear, unparalleled insight on their campaigns’ strong points and weak points, users can quickly optimize for ideal results. Users can understand exactly where their biggest opportunities lie and are empowered to make better, data-based decisions, faster. Complete visualization of the entire customer lifecycle: Most campaign automation tools show how email marketing performs OR how online pages convert. 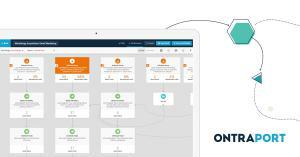 ONTRAPORT is the only platform that shows both, on one single, visually simple campaign map. It’s a true all-in-one campaign platform, and therefore the most effective and efficient way to fully manage and gain insight into your business. Unrivaled built-in visual campaign data reporting: ONTRAPORT is the only visual campaign tool available with performance reporting in real-time, shown graphically on the map, providing users an unprecedented level of customer information and the confidence to optimize campaigns to achieve better results. ONTRAPORT 5 includes all the tools entrepreneurs need to manage the customer journey, guiding contacts all the way from brand awareness to brand advocacy. Set to release in June 2017, ONTRAPORT’s new Campaign Builder is poised to surpass existing tools and for the first time provide entrepreneurs with all the tools they need to grow their business. For over a decade, ONTRAPORT has supported thousands of entrepreneurs in starting, systemizing and scaling their businesses through the advantage of its industry-leading all-in-one automation platform. ONTRAPORT’s latest and most groundbreaking release, ONTRAPORT 5, is the first visual marketing campaign builder that uniquely provides the combination of complete graphical campaign mapping, real-time tracking and results forecasting capabilities that together empower business owners to grow their business. 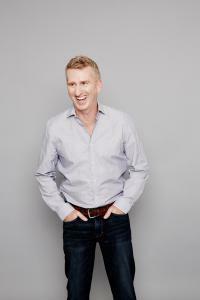 Landon Ray is a serial entrepreneur whose personal mission is to educate, motivate and enable others to realize their goal of starting and growing their own business. At the age of 25, Landon transformed himself from a street-corner flower vendor into one of the nation’s top securities day traders in only 12 months. After beating the odds on Wall Street, and again during the great recession, Landon used his research and personal experience to create ONTRAPORT, a small business automation platform and related family of services, which reflects his passion for educating and supporting entrepreneurs.